Pressure cook beef in 2 cups of water for 20 minutes or boil till soft. 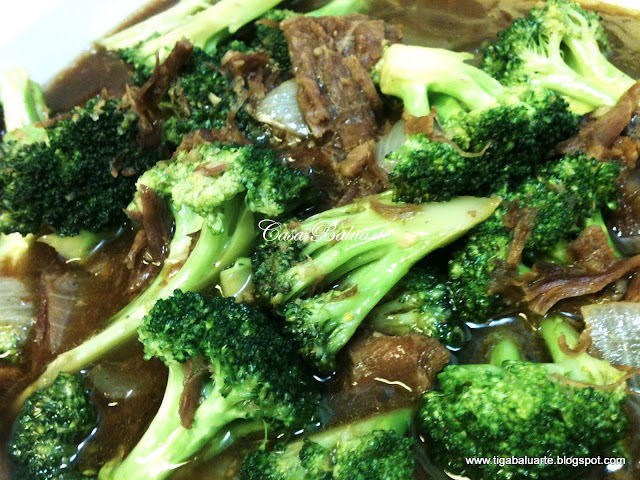 Remove beef from the pressure cooker. Set aside. Save excess juice and allow it to cool. Using the remaining juice from the beef pour in soy sauce, hoisin sauce, oyster sauce, sugar, sesame oil, corn starch and stir making sure all cornstarch are diluted. Set aside. Using a wok saute ginger and garlic in cooking oil in medium low heat till golden brown. 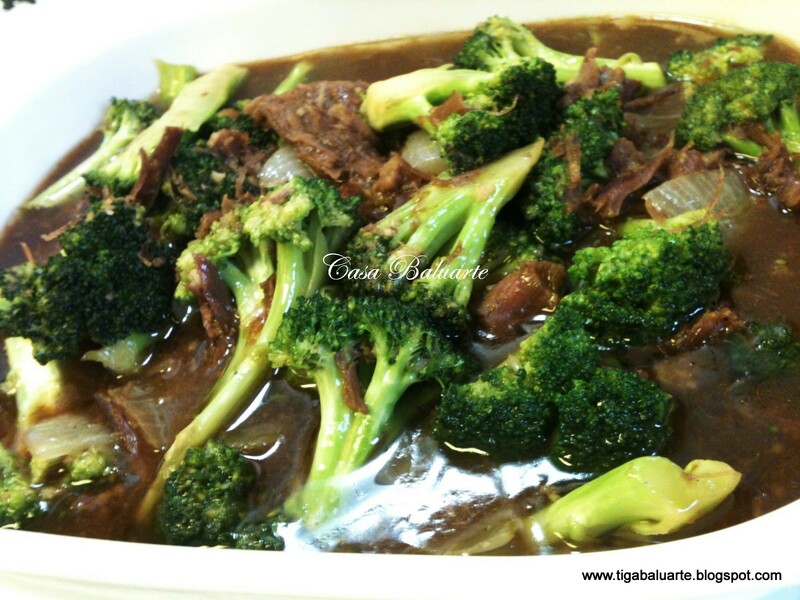 Add onion,beef, broccoli and stir for 2-3 minutes. Pour the sauces mixture into the wok. Stir and simmer for 3-4 minutes. Remove from heat, serve and enjoy.